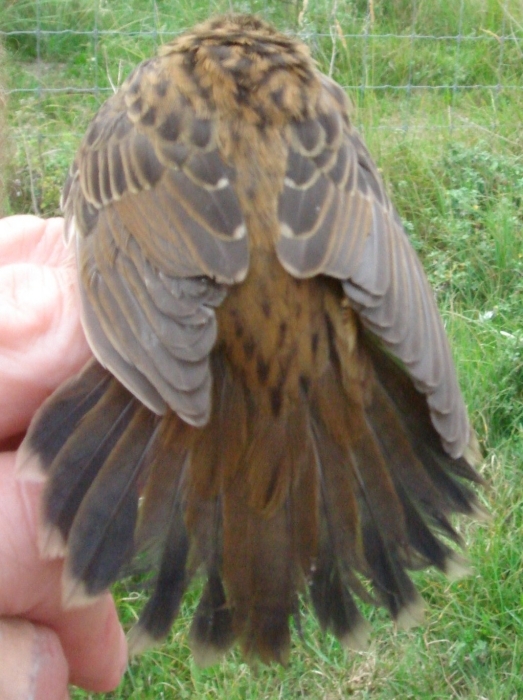 24 September, Kennemerduinen, Bloemendaal, Noord-Holland, first-winter, ringed, photographed (P Bergkamp et al). Nine out of 10 records involve birds trapped at ringing stations in the Kennemerland region, Noord-Holland, all between 12 September and 5 October. This was the second for the station at Bloemendaal; the other seven were 14 km to the north at the Castricum station. Annual Report 2013.